2018 was an eventful year for the property industry and with lots of imminent changes coming in 2019, we investigate these and how they could impact the sector. Brexit will no doubt have an impact of the UK property market, and given the most recent developments within government, the process could be potentially more risky than originally thought. The uncertainty of the economy puts doubt in the investors from both the UK and overseas, there is a risk that house prices could drop and therefore investors could keep hold of their portfolios rather than release them in order to ensure they gain equity. Proptech is well and truly established within the industry. Whilst Proptech hasn’t been as ‘disruptive’ as much industry experts stated, instead, we’ve seen it used as bolt-ons to help better the sales, lettings and property management functions. Streamlining processes and supporting already well-rehearsed and successful methods and practices. Property still requires more innovation with new products being released regularly, but it is those products that develop and enhance existing processes rather than creating new ones that have proven to be more successful. With the impending tenant fee ban for the lettings industry, it is the innovation of Proptech (as discussed above) that will help recoup some of the losses agents will face. Similar to the housing crisis triggering companies to provide a faster and cheaper construction process and how off the back of GDPR, companies were formed to ensure other companies were compliant. The industry still awaits for an exact date of when this will come into place but it is anticipated to be around April 2019. The number of agencies in the industry is particularly high, especially in the cities where High Street’s are lined with competitors. There has been industry predictions that state up to 18% of existing companies could be closing this year due to challenges. However, it is becoming apparent that some agencies will be more powerful together. It is believed we will see more industry consolidation, establishing more partnerships which will encourage to better the industry as a whole. 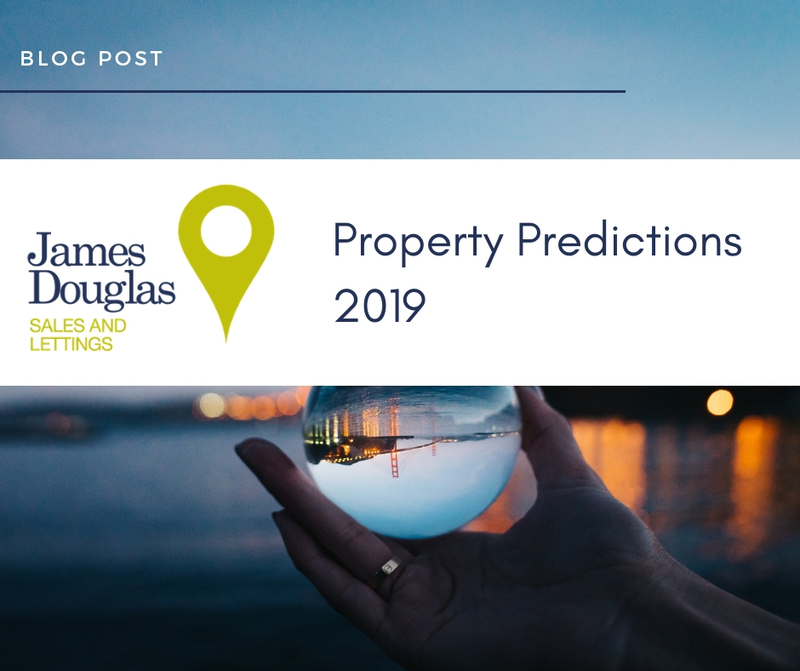 Whilst there have been mixed messages in the media surrounding house prices, it has been predicted that they are still likely to grow 2.5% in 2019. Total transaction levels for England and Wales in 2018 look to be the equivalent of 2017. We would expect this trend to continue into 2019 with registered buyers and viewing numbers increasing gradually. The Buy to Let market has also seen lender competition rise, which has helped drive the buy to let mortgage interest rates down and an influx of products with cash back incentives. Reports show that there are 2,000 buy to let products now on the market, which results in this particular area becoming far more complex. With the ever-changing legislation, landlords have been facing tougher times over the last couple of years, with additional licensing and regulations to follow. In relation to the Minimum Energy Efficiency Standards (MEES), in April 2018 a minimum rating of E for an EPC is required on a rental property and by 2020 regardless of tenancy status all rental properties will need to meet this requirement. Therefore 2019 will affect those landlords, in which the government has predicted over 290,000 affected properties that will need to make preparations before this deadline. In relation to HMO Licensing, new rules redefined HMO status in October 2018, and therefore some landlords may be facing additional works to the property (such as improving minimum bedroom sizes) so that they can have a licensed property. Whilst we have discussed the specific changes in legislation that will affect landlords this year, the Private Rented Sector as a whole should see some differences this year. As the demand for renting sky-rockets, the standard of the rental market should see an improvement. As tenants look for longer-term tenancies, there will be a much stronger focus on the security and safety of properties ensuring the rental sector is fit for purpose following these changes in lifestyle. To summarise, the industry is facing some uncertainty with the likes of Brexit and the Tenant Fee Ban, it is difficult to say exactly what this means for the housing sector. Whilst the private sector and landlords, in particular, see an increase in legislation, the regulation of the industry, as well as the rise in demand from tenants in both quality and length of tenure will only help assist the future of the rental sector as it is those who are ultimately shaping the industry. In light of these changes we could also start to see the consolidation of agencies in order to become a stronger network of property professionals working for the same interests and working with landlords and tenants, rather than agencies competing against each other.